1. In 1988, Nicolas Slonimsky (1894-1995) invented a method of beating a different rhythm with each arm–created a new composition by identifying each note in Beethoven’s Fifth Symphony with a number, and then playing the square root of each note. 2. The symbol for infinity (∞) was used by the Romans to represent 1000. 3. All palindromes with even number of digits are divisible by 11. 4. The earliest evidence of a numerical recording device is a section of a fibula of a baboon, with 29 visible notches, dated to about 35000 BC, from a cave in the Lebombo mountains on the borders of Swaziland in Southern Africa. 5. The number 365 is equal to the sum of three consecutive squares and two consecutive squares in which the five squares are also consecutive. 8. Each fraction of the following equation contains all the digits 1 through 9 only once. 9. There are 293 ways to make change for a $1 using pennies, nickels, dimes quarters and half-dollars. 11. 169 is equal to 132 and its reverse 961 is equal to 312. 12. 206156734 = 26824404 + 153656394 + 187967604. This is an integer solution for the equation w4 = x4 + y4 + z4 found by Noam Elkies. 21. A tablet from Susa, dating from the period 1900-1650 BC, uses the Pythagorean theorem to find the circumradius of a triangle whose sides are 50, 50, 60. Pythagoras himself lived in the sixth century BC. 22. 8114118 is a palindrome and the 8114118th prime, 143787341, is also a palindrome. 23. If you concatenate all the palindromes from 1 to 101, the number produced would be prime! In other words, the number 123456789112233445566778899101 is prime. 24. Perfect squares are the only numbers with an odd number of divisors. 25. From 0 to 1000, only the number “one thousand” has the letter “A”. 26. Saint Hubert is the patron saint of mathematicians. 30. There is only one long division extant in the entire corpus of Greek mathematics. 31. Newton is on record as speaking only once when a member of parliament, to ask that a window be opened. 32. Newton’s annotated copy of Barrow’s Euclid was sold at auction in 1920 for five shillings. Shortly thereafter, it appeared in a dealer’s catalog marked as £500. 33. The square of 204 is equal to the sum of consecutive cubes 23, 24 and 25. 34. A knight’s tour order-8 magic square has been proven to not exist. 35. 1666666666661 is the smallest prime number which contains 11 6’s and it’s palindromic too! 36. 22273 is the largest prime in the Bible and it’s aptly in Number 3:43. 37. Except for 2 and 3, if you add and subtract 1 to any prime number, one of the results is always divisible by 6. 39. The Chinese were the first who used negative numbers around 2200 years ago or maybe even earlier. 40. Cardan (1501-1576) described negative numbers as “fictions” and their square roots as “sophistic”, and a complex root of a quadratic, which he had calculated, as being “as subtle that it is useless”. 41. If , then . 42. -40 °C is equal to -40 °F. 43. Aside from 144 being the only square Fibonacci number. It is also the 12th Fibonacci number. Note that 12 is the square root of 144. 45. In chess, there are 4897256 total possible positions after 5 moves by both players. 47. The probability that the thirteenth day of the month being Friday is the highest. 48. Richard Recorde is credited with inventing the equal sign (=) in 1557. 51. There is a combination of 26,830 possible Tic-tac-toe games, excluding reflections and rotations. 53. Every odd number contains the letter “e” in the English language. 55. There are 40320 minutes or 8! minutes in 4 weeks. 56. There are 3628800 seconds or 10! seconds in 6 weeks. 57. 3! × 5! × 7! = 6! × 7! = 10! 60. Given any four consecutive Fibonacci numbers w, x, y and z, yz – wx forms the hypotenuse, and 2xy and wz form the two other sides of the right triangle. 61. 40585 = 4! + 0! + 5! + 8! + 5!. This is the largest number in base 10 that is the sum of the factorials of its digits. the only others are 1, 2 and 145. 64. The polar diameter of the Earth is approximately equal to half a billion inches, accurate to 0.1%. 65. 216 = 65536 might be the only power of 2 in base 10 that does not contain any digit that is a power of two, i.e., 1, 2, 4 or 8. 67. Aside from 0 and 1, 82000 (in base 10) is the only number that can be expressed with 0’s and 1’s in bases 2, 3, 4 and 5. 68. 122 × 213 = 25986. Interestingly, if you reverse 122 and 213, their product would also be the reverse of 25986. 69. While we use the base 10 number system (decimal), the Mayans counted by 20’s (vigesimal). 70. The product of two primes can never be a perfect square. 72. The sum of any 14 consecutive Fibonacci numbers is divisible by 29. 73. the difference between the time of a sundial and a standard clock is called “the equation of time”. 74. 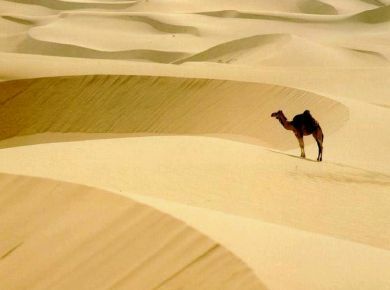 People back then believe that the number of grains of sand is limitless. However, Archimedes argued in The Sand Reckoner that the number of grains of sand is not infinite. He then gave a method for calculating the highest number of grains of sand that can fit into the universe, which was approximately 1063 grains of sand in his calculation. 75. Curiously, the number of nucleons in the observable universe of roughly the Hubble universe is approximately 1080 (this is also known as the Eddington number). Archimedes’ 1063 grains of sand is approximately equivalent to 1080 nucleons. 76. It is impossible to square the circle since the area of the circle is based on π, which is a transcendental number. Therefore, a person who obsessively insists on “squaring the circle” is said to be suffering from morbus cyclometricus. 77. The mathematician G. H. Hardy doesn’t like mirrors. He even covered the mirrors in any hotel rooms that he entered. 78. 999 is the largest number that can be formed by using three digits without the use of any other symbols. It consists of 369693100 digits! 80. 27 × 594 = 16038. This is the only solution for a pandigital multiplication with a pattern of 2, 3 and 5 digits in this form. Also, notice that 27 is a factor of 594. 81. If you multiply all the divisors of 48 together, it would yield 484. 83. 1023 – 23 is the largest 23-digit prime. It is equal to 99999999999999999999977. 85. 121 and 4 are the only squares that become cubes when increased by 4 (Discovered by Fermat). 86. The first seven digits of the golden ratio (1618033) concatenated is prime! 88. 7 x 11 x 13 x 17 x 19 = 323323. The product of five consecutive primes yielding a palindrome. 89. Moreover, using the same five consecutive prime numbers, the sum of their squares is also a palindromic number! 90. Some mathematical celebrations: March 14 – Pi Day; June 28 – Tau Day; October 10 – Metric Day. 91. 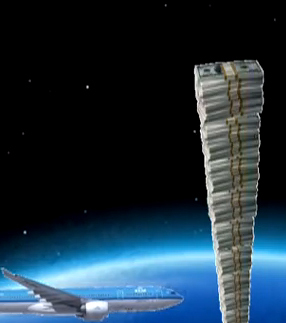 If you stack one dollar bills equivalent to the approximate debt of the U.S. government, then the dollar bills would reach the moon five times over! 92. The symbol for division (÷) is called obelus. 93. On the other hand, the division slash (/) is called virgule. 94. When you multiply 21978 by 4, the product is the reversal of the number. 95. Negative numbers don’t have logarithms. 96. 987 × (9 + 8 + 7) + 1 and 987 × (9 + 8 + 7) – 1 are both primes. This is the only 3-digit number with consecutive descending digits that has this property. 98. 11 is the only palindromic prime with an even number of digits. 99. The Babylonian mile is approximately equal to 11.3 km (about 7 miles). Your articles are great! This is my favorite one so far, keep up with the good work. And thank you again for reading my first blog post: https://animalshaverights.home.blog/2019/03/10/why-i-write-these-blogs/. PS: If you like what I write, feel free to share with family and friends- I really want to get a message across and hope I can share it with a lot of people, including the ones that are not in my family. I will be posting soon again! These 100 bits of math trivia range from I got that to What???!!!. For math nerds and other who appreciate unusual trivia or want to learn something. Fascinating. Most of these are way over my head. Wow, this is very interesting. I used to teach primary students mathematics and I am sure the smarts ones would love these trivia. By the way, thank you very much for visiting my site. The polar diameter of the Earth is approximately equal to half a billion inches, accurate to 0.1%. I had no idea how much fun I’d have reading this post! I’m a word nerd and a trivia buff. Thank you for this! Great post! Slonimsky also created a “Thesaurus of Scales and Melodic Patterns” that influenced many modern composers and jazz musicians. He was a frequent guest on Johnny Carson’s “Tonight Show”. Music and mathematics – perfect partners! Very interesting facts…way too much to take in with one pass so will have to revisit in the future. My sister-in-law is a mathematician; I wonder if she knows all of these. I will have to share this with her. thank you for visiting my blog. I’m afraid I’ll need the rest of my life to understand this post, but mathematics are fascinating ! Woww!! I love reading random math facts. I keep falling more and more in love with math!! Lovely collection of facts as usual. Can’t take all this in at once so will keep coming back! I hope you don’t give us a pop quiz like we had at school! Thanks for posting and keeping my brain alert. And suddenly I want to fall in love with Maths. This time a longer, to infinity and beyond kinda relationship. Your work is absolutely fabulous. I am entranced. For me mathematics is like a puzzle that you need to identify for you to be able to find the right answer..
Wow! Wow! Amazing and interesting. Thank you for visiting my blog! You have a fascinating web site. I wrote a post several months ago about mathematics being the cosmic language. When the “little green men” come for a visit, we will communicate using math and not verbal language. Thank you so much for taking a look at GQ. Take care. Thanks for taking time away from your collecting of odd facts to visit my blog! I love math but got stuck on the palindrome with even numbers always being able to be divided by 11. If you take 2, 4, 6 & 8 and 8, 6, 4, 2….both add up to 20 and neither can be divided by 11. Where oh where did I go wrong? Loved your post. Oh by the way, Abbott and Costello’s girl never reaches the same age as her fella, right? Not palindromes with even numbers but palindromes with even NUMBER OF DIGITS. For example, 5115, 248842, etc. A mathematical problem from the minds of Abbott & Costello. A girl of 10 was seeing a man of 40. Her parents said he was 4 times older than her, so didn’t want her to see him. So the girl waited 5 years. She was 15, he was 45. Now he is only 3 times older than her, but her parents still weren’t happy. So she waited another 15 years. She was 30 and the man was 60, only 2 times older than her. The question is, how long did they have to wait until they were the same age? From the brilliant minds of Abbott & Costello (not mathematicians). A girl, 10 years of age, was seeing a man of 40. Her parents pointed out that he was 4 times older than her. So the girl waited for 5 years. She was now 15 and the man 45, now he was only 3 times older than her, but her parents still disapproved. So she waited for another 15 years, she was now 30 and the man was now 60, only twice as old as her. Well that figures, and, being a math teacher from algebra to calculus I should have known that! Oooops! thanks for clearing that up! As an author of fiction but a retired math teacher, THIS POST IS TOTALLY AWESOME! Thanks! Like you, this is like a foreign language to me. I am almost 60, and still can not do division without a calculator. But it didn’t stop me from being given a job calculating doctors financial claims. It did however stop me from keeping it. The boss was happy with my work, if a bit slow, but it was too much for me and I was getting too stressed just doing fairly simple calculations. I admire anyone that can do this. Sorry, that is wrong. There are one hundred and one, one hundred and two etc. This is just the difference between British and American English usage. For example, AE uses “one hundred one” and “one hundred sixty·five” while BE uses “one hundred and one” and “one hundred and sixty-five”. Both usage is correct and in Hong Kong, both are accepted, albeit the AE usage is more common especially for writing checks as it looks neater. For example, $125.40 is written as “one hundred twenty-five and fourty cents”. The problem for me, Being British and living in Britain, is that I only know the British system. Remember that in America they don’t use the ‘and’. The numbers are just one hundred, one; One hundred, two; etc. But then again, Americans do terrible things, for a simple example; British call dealing with numbers MATHS, but in America it is singular…MATH. But that is countered by their champions, who might be Worlds champion, although they only competed in one world. (and often they only compete in America, like their football teams. They win the American NFL competition, but become worlds champion). Great and very interesting post! !